Sorry I only look after the vanilla version of the game, the Technicians Remix is just too complex for me to cover, it's a little bit of a do it yourself approach. A few things that may help you is to keep the launcher open and look at the logs as that may show you what's causing the issue. The next step would be to add each texture mod one at a time and then reload the pack in the game, this would tell you which mod is crashing the game, due to the number of textures and the way all the different mods update at different rates, it can be a game in itself just getting the pack working. This is the main reason I don't cover the modded textures because it get to the point that just getting it working leaves no time to actually play the game. 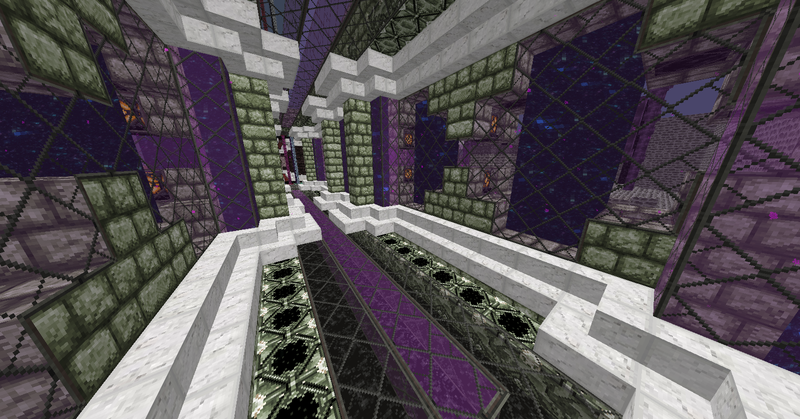 This Texture Pack is very good :D! I'm currently unable to find a way to fix the texture pack from keeping blocks like 'glass' 'trees' 'bookcases' from being separated. Before they used to be merged together to make one unified texture. Just curious if you would happen to know how to fix this? Attachments are included with post. 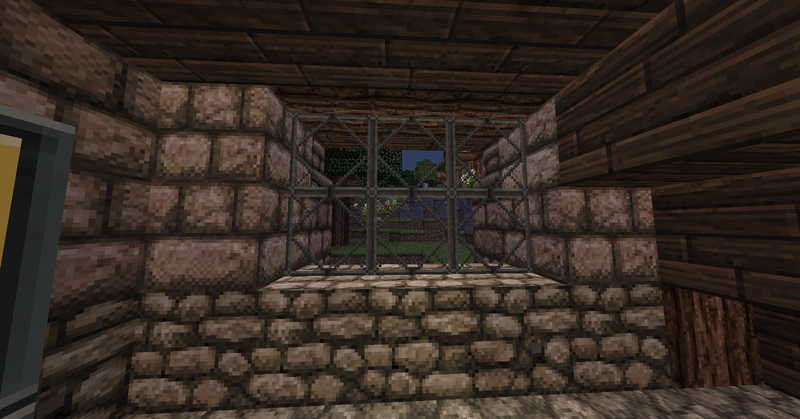 The thing you are talking about is Connected Textures, the vanilla game does not support that function, you would have to use OptiFine for Connected Textures. Make sure you are using the correct version of the pack as Resource Packs are made for each version of the game, also note to get the correct version of OptiFine for the version of the game you are playing. Note that Optifine does not support the snapshot versions. With almost 3000 textures in the John Smith Legacy resource pack, any texture size changes would be a very large undertaking. I have no plans at this time for anything other than the 32px size textures. Ok sounds good Jim, thanks again. 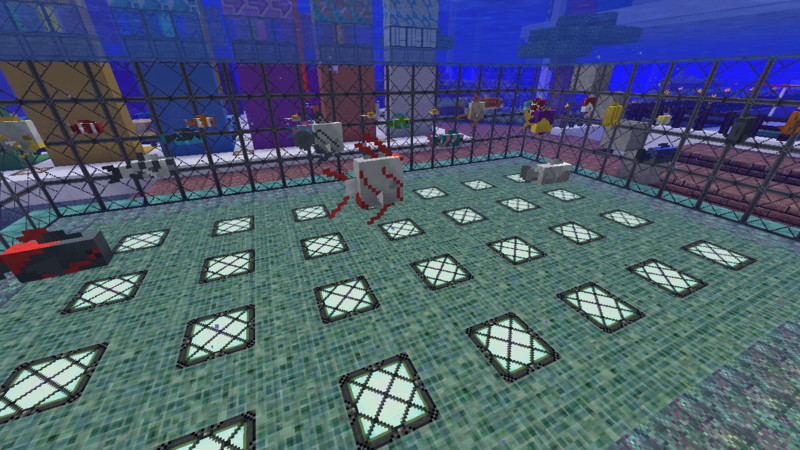 Snapshot are coming along quite nicely for the Minecraft 1.13 Update Aquatic. Still a few textures to do but I should have them done by the time the update in finally released. I've just uploaded John Smith Legacy 1.13 pre2. New bark log ends again plus my first attempt making an animated seagrass and kelp, also a glowing spectral arrow. Minecraft 1.13 pre4 has no texture changes so the John Smith Legacy 1.13 pre3 resource pack works fine with that version. John Smith Legacy 1.13.0 pre5, even more entity, model, block and item renames again!!! 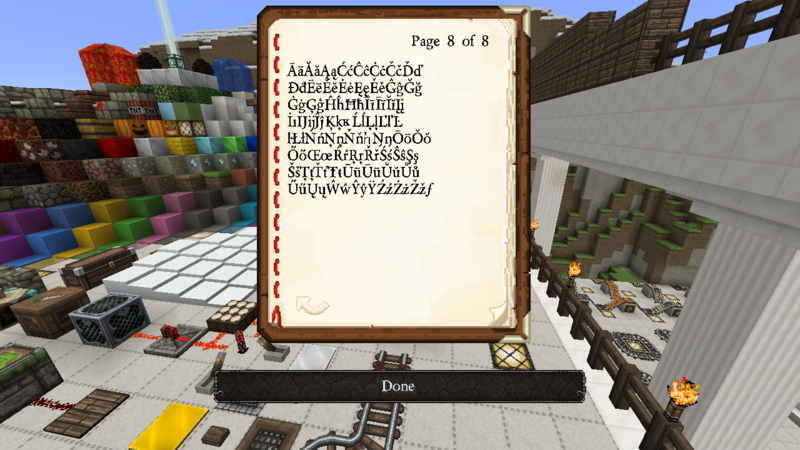 John Smith Legacy 1.13 pre8, Berylium font is back and now in HD, Minecraft now supports ttf (True Type Font). I also made all the missing fonts that are not in the Berylium font as the game can use bitmapped fonts as a fall back. Note:- Some of the accented.png fonts do not display as it would seem that they are currently hard coded even though the image has those fonts. I thought they removed the ttf font support? Or did they remove it and put it back in? They took it out of the vanilla game at the moment but you can use it in a resource pack. Here's a great site with the explanation for the new ttf format. Minecraft 1.13 Update Aquatic is out and so is my Resource Pack. John Smith Legacy 1.13.0 v1, too many changes to list, see the changelog for all the details. As a bonus I've also backdated as many changes as I can to the previous packs, all the way back to 1.8.9! Hi, Jim, love the pack, been using it for years. Anyway, I have changed some textures, particularly side, top and bottom textures for the smooth and chiseled sandstone and red sandstone. idk if it's a CTM issue, because Optifine isn't out for 1.13 yet, but the textures I replaced for these blocks aren't staying consistent and it's ignoring the new textures in favor of the original ones most of the time. Also the hieroglyphics on the sides of both colors of chiseled sandstone blocks are especially randomized and sometimes (at least for the regular chiseled) are being replaced with the creeper face. Is there something I need to change in the .json files that lists the variants for these blocks or something? On another note, lily pads stay bright green in warmer environments, like the desert, none of the other plants (like vines, sugar cane, ferns, etc.) do this, they have their usual more yellow-green color. Lastly, when are you going to re-skin all the tropical fish? I know it's probably at the end of your list, as I noticed it has taken you some time to re-skin all the new sea life through the 1.13 snapshots and pre-releases. All those things aside, great work as always, keep it up! Never mind on the chiseled and smooth sandstone blocks. I compared code from the 1.12.2 version of the pack and discovered that you'd omitted "normal" from the .json files for those blocks, in the blockstates folder. The textures issue for you is not a CTM issue (1.13) as those textures are not used yet (no OptiFine). All the tropical fish are textured in the v2 release, the colours are hard coded though so they are a little bit too saturated for my taste. As for the "normal" bit in the blockstates, that's how vanilla does it now, as normal is the default they decided to just remove the word "normal" and just put it as "", saves a few bytes I suppose. Minecraft 1.13 changed a hell of a lot of the blockstates and models. The lily pad issue is a vanilla bug and I've reported it, please vote for it if you're on the bug tracker. This can be fixed using OptiFine but it is a vanilla bug and there is no 1.13 OptiFine yet. Oh, ok. I guess I wasn't looking closely enough at the tropical fish. As for their colors being too saturated, I know you like less saturation, as that's the style of your pack, but since the World of Color update, I think having more saturated colors in some areas is a good change. Thanks for reporting the lily pad thing to the bug tracker. Guess my Mojang login doesn't work on there and I don't feel like creating another email for a new account just for the bug tracker, so hopefully it gets fixed, if it is indeed a bug. Not sure what's going on, but every time I put this resource pack on, my whole game turns to pink and black squares and illegible text. I am using JUST the 1.13.0 v3 resource pack a I JUST downloaded for the site, no other textures. Do you have any idea what could be causing this? Minecraft logs quite a lot of information when loading, what does the log say? Can you please attach the crash report (minecraft/crash-reports/crash-<DATE>-client.txt), otherwise I cannot diagnose this issue. Knowing Mojang, it usually takes a few revisions to sort out the bugs, we will probably have 1.13.1 next week (unless it is the resource pack). Please post the crash log and I'll see what I can do.